Twenty-two years have passed since Roger’s execution, and the story focuses on Monkey D. Luffy, a young boy who, after inadvertently eating a devil fruit known as the Gum Gum Fruit when he was younger, has become a rubber man capeable of stretching any part of his body in exchange for his ability to swim. 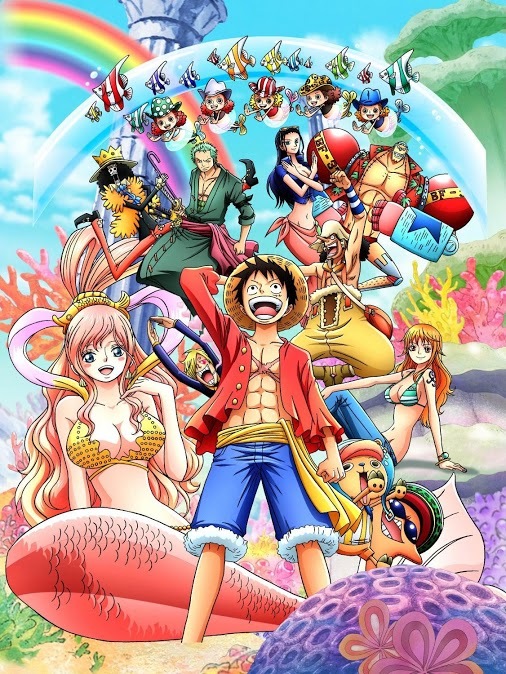 Inspired by his childhood idol and powerful pirate Red Haired Shanks, Luffy sets off on a journey from the East Blue Sea to find Roger’s legendary treasure and become King of the Pirates. This anime is still on-going and there are currently 598 episodes.